Questions about Youmna’s coaching sessions? Youmna Bou Hadir first came to FADE IN: a musician and part-time poet and writer. She is now the Community & Student Liaison as well as the creative writing trainer for youth. 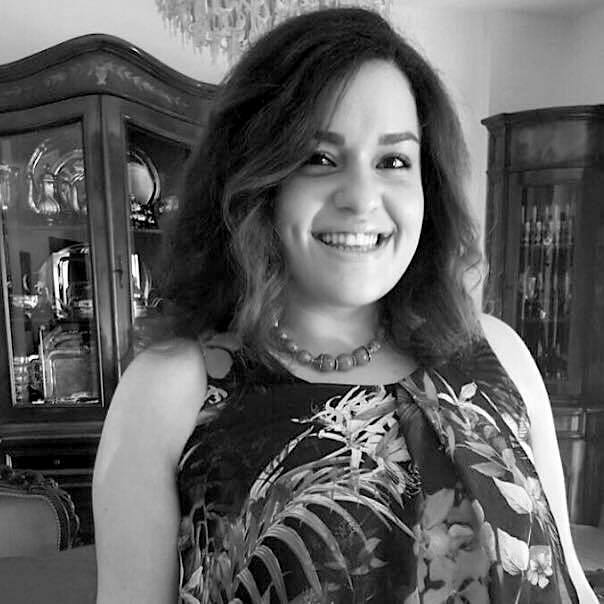 She holds a BA in English Literature from the Lebanese American University and has experience training in public speaking and conflict resolution in the LAU Model United Nations Program. She was awarded for Best Senior Project for the Academic Year 2014-2015 for an extended work of creative adaptation incorporating music, set, and poetry. Since the beginning of her creative writing journey with extensive training at FADE IN:, including creative writing for youth and young adults, she has implemented her newly found voice to her online poetry blog. She continues to grow her writing portfolio with several projects including songs and short stories. She works in journalism, copywriting/editing, translation, and even administration and management. When Youmna is not running a Youth-centered workshop at FADE IN: you can find her on a high dose of caffeine, composing a lovely melody, or scribbling a fun rhyme. One day, she hopes to work with special needs children and adults to teach them how to better express themselves through the art of Story.